Doylestown Health is preparing for the dawn of its transformative second century with the launch of a comprehensive $75 million philanthropic campaign. “One Vision,” the theme for the campaign, unites all aspects of Doylestown Health and is designed to support renovations and program expansion throughout the health system and on the Doylestown Hospital and Pine Run Retirement Community campuses. 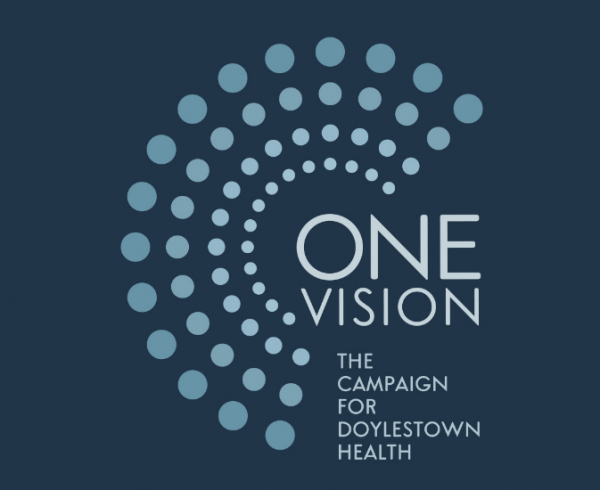 The One Vision campaign, publicly launched on June 1, will raise funds to complete the transformation already underway to ensure Doylestown Health remains an independent and indispensable part of the region’s fabric for the next generation of patients and a growing marketplace. $75 million philanthropic campaign launched publicly on June 1, 2018. Approximately $30 million in gifts and pledges already made during the quiet phase of the campaign which began on July 1, 2016. 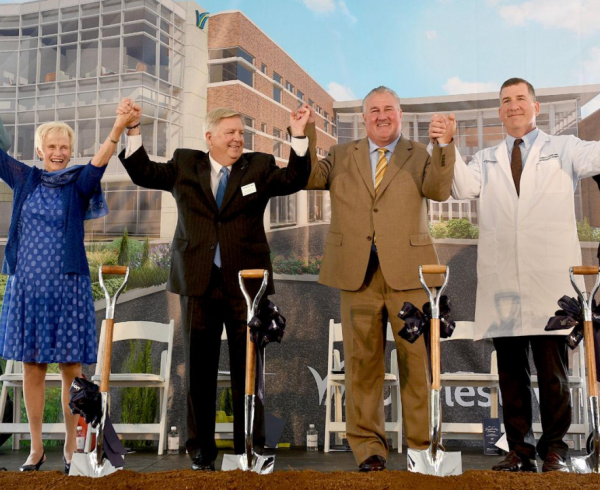 Largest philanthropic campaign in nearly 100-year history of Doylestown Health to support $100 million in investments and establish an endowment. Goals: Build for the future, transform healthcare delivery for the next century, and invest in people and programs to ensure Doylestown Health remains independent, indispensable and relevant. Gifts can be made for specific programs or services, or to the general Second Century Fund. Donors can make outright gifts of cash, securities, IRA distributions or matching gifts from corporations and businesses. Multi-year pledges with recurring monthly or annual payments (maximum: five years) are welcome. Planned gifts (bequest, charitable gift annuity, life insurance, real estate, etc.) also welcome. For information about the campaign and available naming opportunities, contact Laura Wortman, Doylestown Health Foundation, at lwortman@dh.org or 215-345-2122. The public announcement of the campaign was preceded by a quiet phase that yielded more than a third of the final goal in donations and pledges, including two $5 million gifts – the largest ever received by Doylestown Health in over 95 years. “Doylestown Hospital was founded in 1923 by the Village Improvement Association of Doylestown, and we’re building on the VIA’s vision for our second century as a comprehensive, community-based health system with capabilities for complex procedures and services in addition to the excellence and compassion that earns Doylestown Health national recognition,” said Jim Brexler, President and CEO. Construction of the 100,000-square-foot Center for Heart and Vascular Care is already underway and planned to open in 2019. A new Outpatient Pavilion will be built on the hospital’s campus, outfitted with signature highly-specialized outpatient services, including rehabilitation medicine. Renovation and expansion of Doylestown Hospital’s surgical suites to accommodate the latest technologies, equipment and procedures. Construction of a new Community Center at Pine Run Retirement Community with an indoor pool, fitness center, auditorium, learning spaces and dining venues is underway; to be completed this year. A new main entrance, wayfinding and Community Education Center on the hospital campus are in planning for the 2023 centennial celebration of the health system. 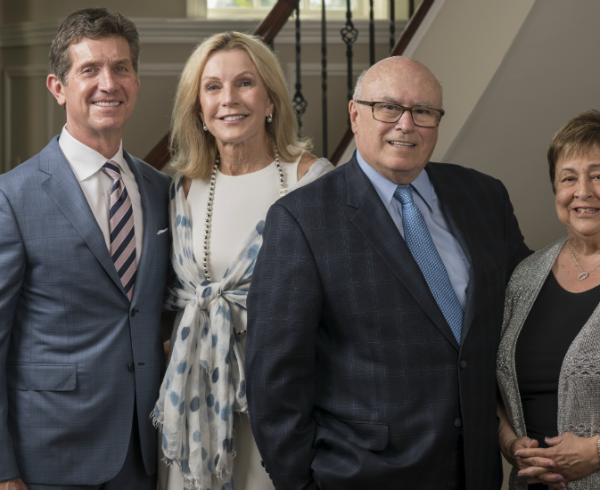 Richard and Angela Clark serve as chairs of the campaign; Alex and Pat Gorsky serve as honorary chairs. Mr. Clark is the retired Chairman and CEO of Merck & Co.; Mr. Gorsky is President and CEO of Johnson & Johnson. Each couple pledged $5 million for the One Vision campaign. 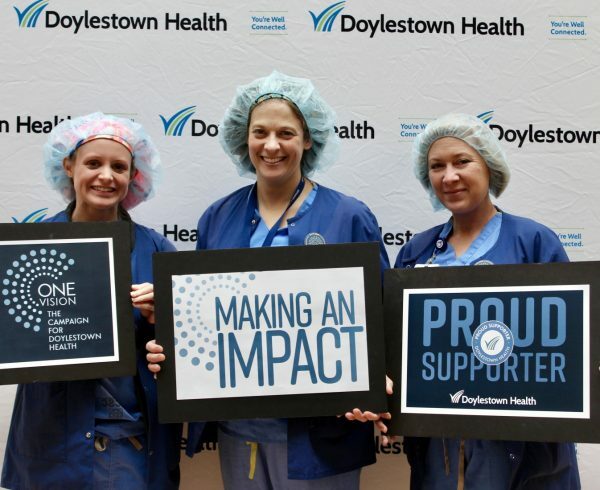 While Doylestown Health is leading the One Vision campaign with “heart” in both character and clinical capabilities, the comprehensive nature of the campaign mirrors broad recognition the health system has received, such as two consecutive years as one of less than 50 “Top Hospitals” by The Leapfrog Group, and top 100 for cardiovascular and orthopedic services by Becker’s Hospital Review. 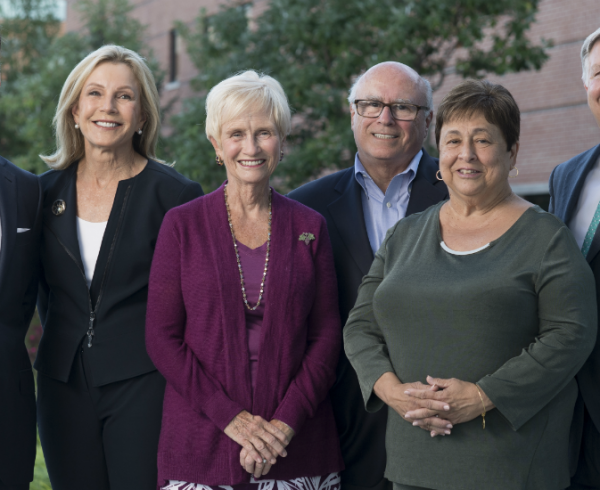 As the philanthropic arm of Doylestown Health, Doylestown Health Foundation raises funds to safeguard the future of excellence in patient care and improves the quality of life for all members of the community. 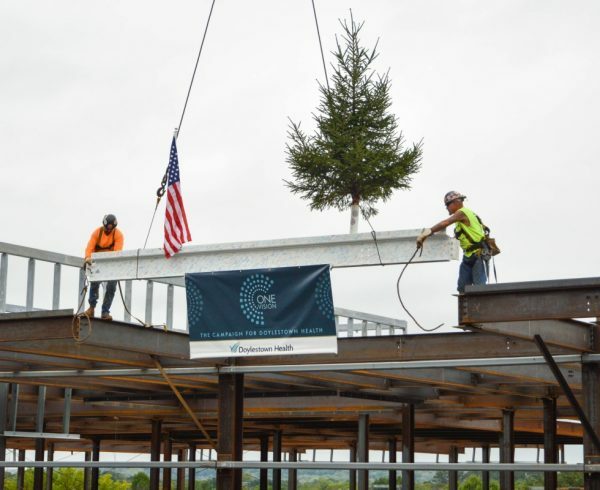 Now, in the public phase of a $75 million comprehensive campaign, Doylestown Health is ready to begin a bold new chapter as it approaches its second century of healthcare delivery. 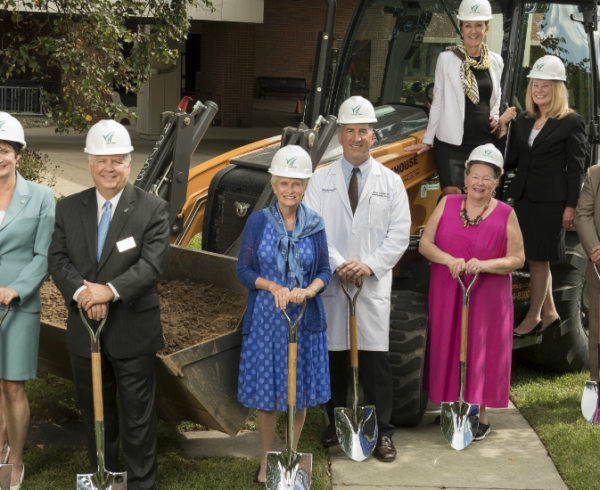 Philanthropic support of ONE VISION: The Campaign for Doylestown Health will fund transformational renovation and expansion across the Doylestown Hospital and Pine Run campuses and will help chart the course for the next generation of patients, providers, and technology. For more information, visit our Foundation page or call 215-345-2009.